The new DC movie Shazam is a fun ride and, in our humble opinion, perhaps the best or second-best movie in the DCU film franchise. 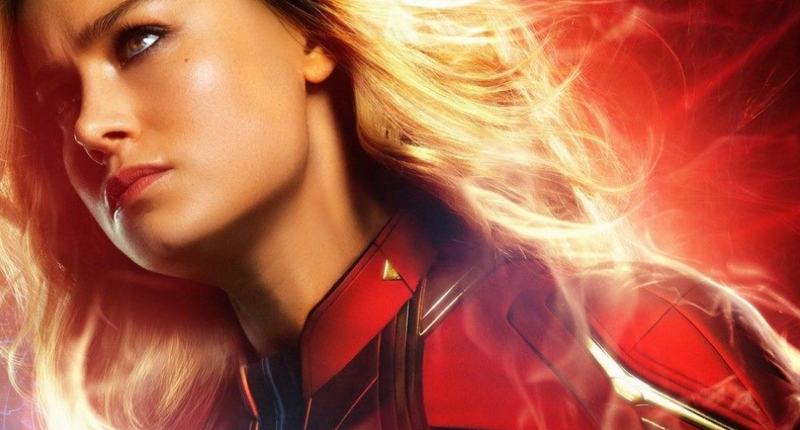 While avoiding any major spoilers, we will tell you why this movie is worth seeing, especially if you are a fan of the original Captain Marvel/Shazam character, you are in for a treat. First of all, the film’s main theme is not good vs. evil, though as in any superhero story, that is a component. The main theme is about family. In all versions of this hero, Billy Batson and his buddy Freddy Freeman are orphans. In the original 1940s version, they lived in an orphanage, in the modern day (comics and movie), they are in a foster home. 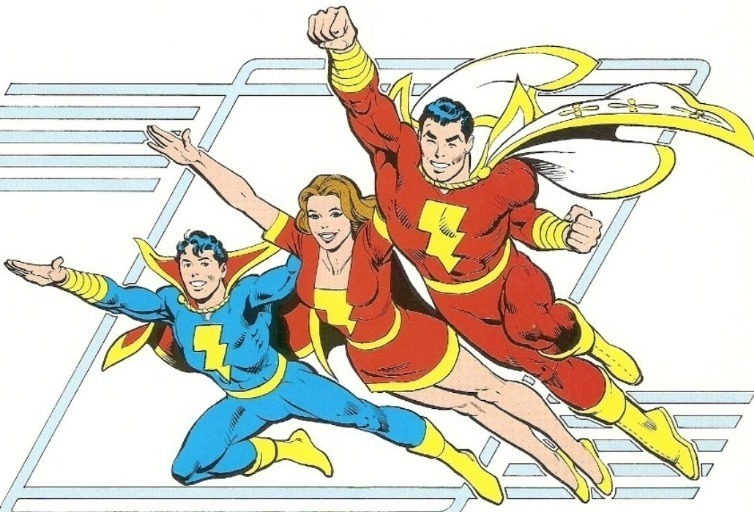 As an orphan, Billy Batson has always had family as a major driver to his personality, and the movie takes this as a significant shaper of his personality and his motivations. 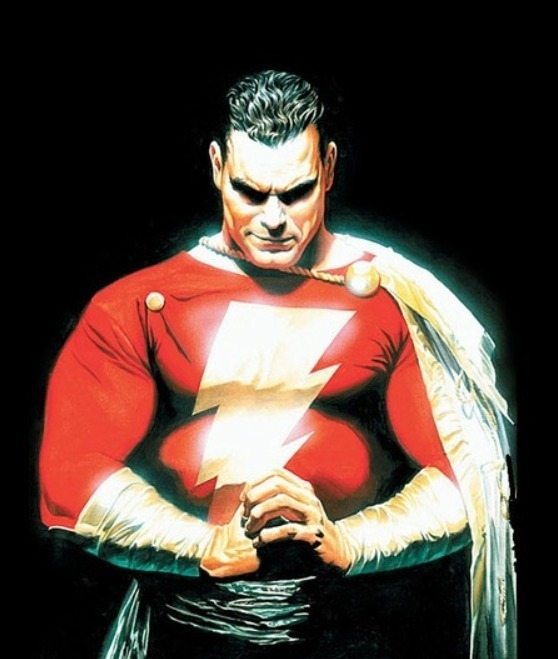 The origin story of Captain Marvel…ahem…excuse us…Shazam pretty much follows the original tale from the comics. The orphan boy is on a subway train that takes him to a magical land with an all-powerful wizard…no, this is not Harry Potter, though the movie does have a Potter reference…who then bequeaths the kid with the powers of the ancient gods. Billy Batson then turns into the adult Shazam hero, but still has the thoughts and emotions of 14 year-old Billy. As Billy/Shazam tries to figure out his new powers and abilities, he develops a closer relationship with his new foster-brother Freddy. Many parts of this movie are laugh-out-loud funny, and the interplay between Billy and all of his foster-siblings is great. Our villain is, of course, Dr. Sivana, an evil genius who is motivated by a lust for power (played superbly by Mark Strong, who played Sinestro in the Ryan Reynolds Green Lantern movie). 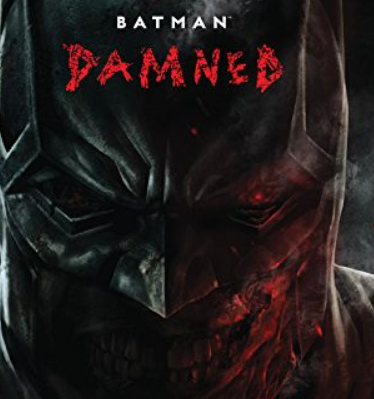 We will not go too much into his origin here, (which is different from the original comics, but somewhat related to his more modern origins), but we will say that his evilness shines through very effectively. One of Sivana’s themes is also about family, but not in the same way Billy’s is crafted. There are many easter egg references, both subtle and obvious, throughout the movie to other comic characters (watch out for that Batarang!) and other pop culture movies, like the aforementioned Potter reference. Again, to be as spoiler-free as possible, we will not get into details about these easter eggs, other than to to remind moviegoers to be sure to stay till the end credits. Yes, DC is doing this as well as Marvel, and the last scene is well-worth the wait. 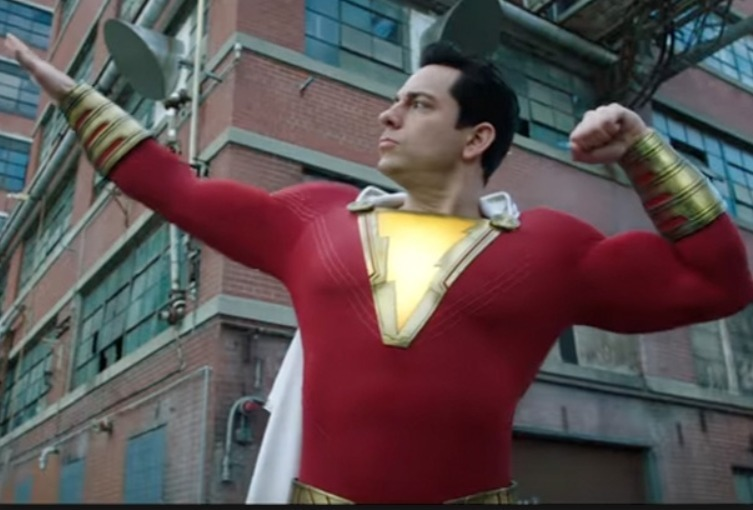 In summary, the Shazam movie is great! We rank it as the number two movie in the current DCEU after Wonder Woman. If you like a good hero flick, with good writing, good humor, and some cool action scenes, then see Shazam! Hickman Returns to X-Men, and Valkyrie Gets Her Own Title. At Chicago’s C2E2, Marvel Comics unveiled several bits of of news related to upcoming projects. 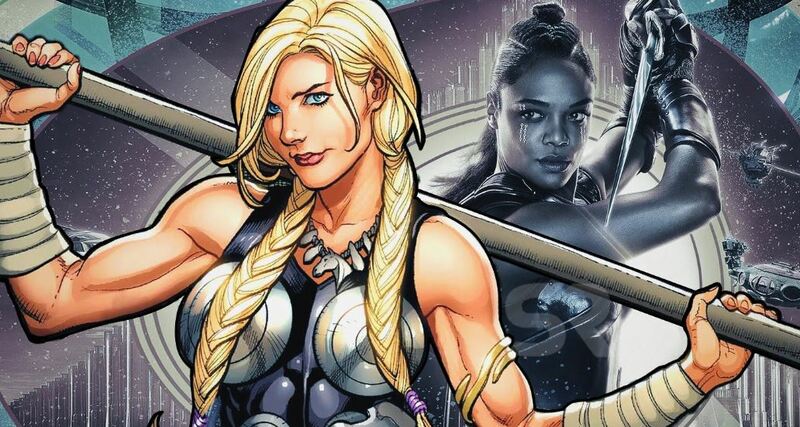 First, the character Valkyrie will get her own series, written by Jason Aaron and Al Ewing. This series will come out of the also, upcoming Marvel Event called War of the Realms, which hits stores on April 3. 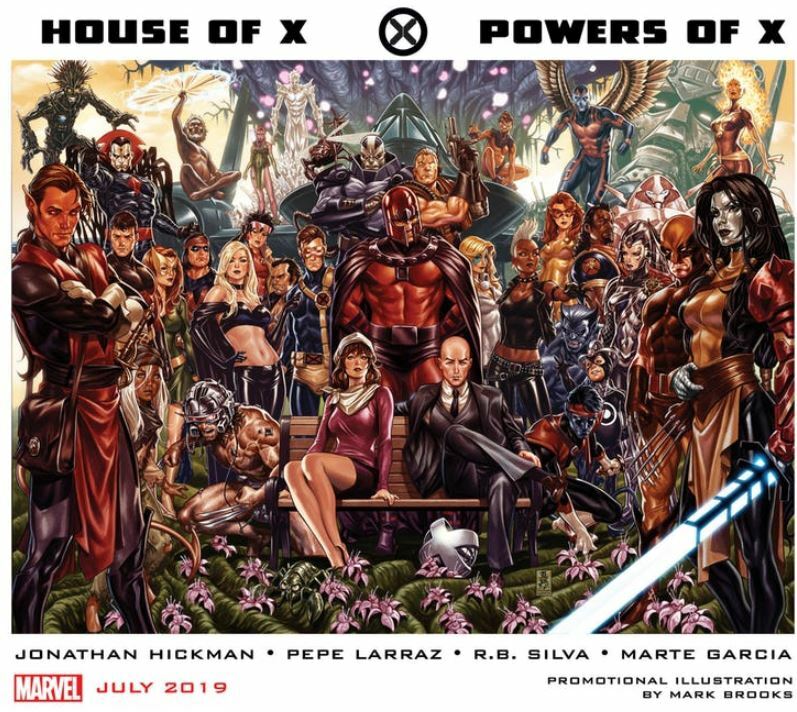 Also, Jonathan Hickman, who scribed the last version of the Fantastic Four prior to Marvel’s shutting that comic down, will take over on two X-Men titles, House of X and Powers of X. Pepe Larraz will illustrate House of X, and R.B. Silva will provide artwork on Powers of X. Marte Gracia will provide colors for both of thee X-Men series. 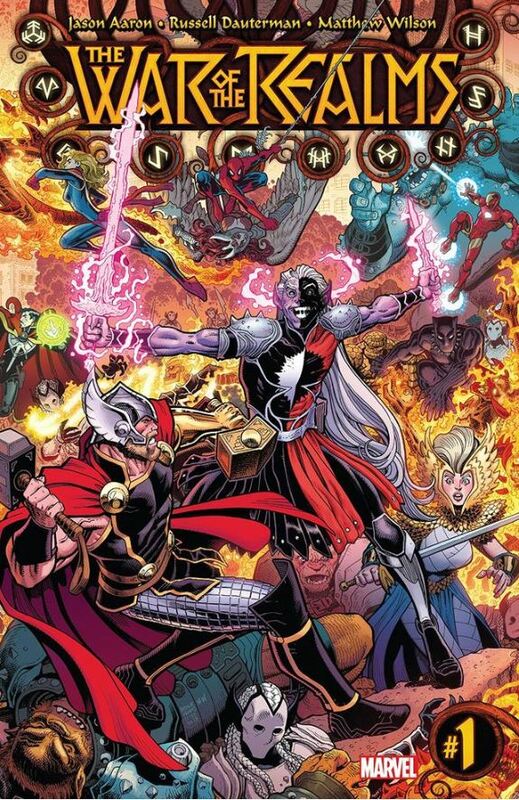 WAR OF THE REALMS begins on April 3, 2019, featuring Thor, Captain America, Iron Man, Spider-Man, Black Panther, and Captain Marvel, against The dark-elf sorcerer Malekith wages a war that has spread from one otherworldly realm to the next, razing each one to the ground as his armies move from conquest to conquest. Now there’s only one realm left standing. You may remember Malekith as the Dark Elf bad guy in the second Thor film, Thor: The Dark World. In that Marvel movie, Malekith was played with some menace by Christopher Eccleston. In recent Thor books, the Dark Elf has proven to be a real pain for Thor (both male and female versions). Author Comics History and Superhero Reviews/Posted on March 24, 2019 /Categories Comic Book News/Tags House of X, Jonathan Hickman, Marvel Comics, Powers of X, Valkyrie, War of the Realms, X-MenLeave a comment on Hickman Returns to X-Men, and Valkyrie Gets Her Own Title. Comic Book and Superhero News March 23, 2019: Disney Gets The X-Men, Deadpool, and the Fantastic Four! 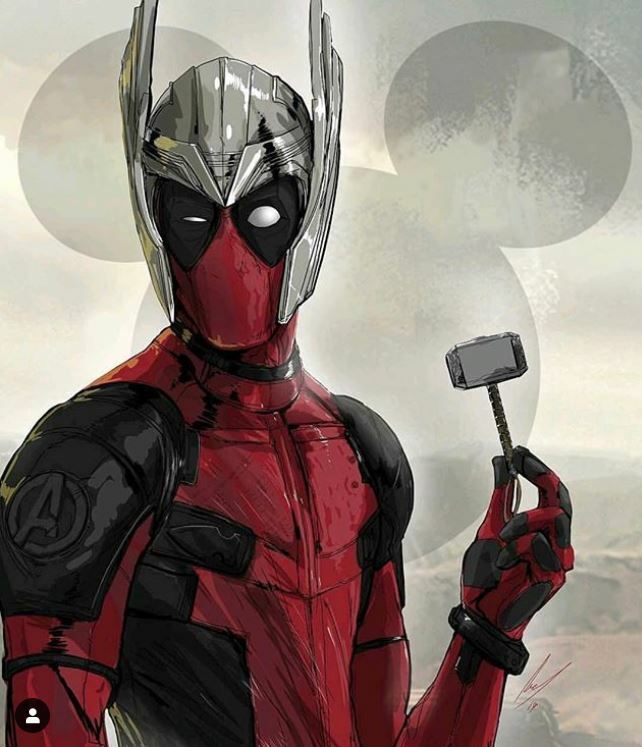 The big news this week in comic-book land is the completion of Disney’s purchase of the Fox Studios Marvel character portfolio. For the superhero movie fan, this means simply that Marvel (owned by Disney) now has full creative control over the X-Men and related characters, as well as Marvel’s First Family, The Fantastic Four! To the long-suffering comic book geek fan (like me), this is nirvana. This unification opens up many possibilities for the Marvel Cinematic Universe (MCU). Given the long history of interactions between the Avengers and the X-Men in the Marvel (comics) Universe (MU), the potential for mining that rich history to create new movie and television epics involving these two important groups is huge. NOTE: In the comics, the X-Men and the Avengers, whose comics debuted at the same time (September, 1963), first met in X-Men #9 (Jan. 1965), have had sometimes acrimonious relations, with multiple instances of serious fighting between the two groups. Regardless of how the new, unified Marvel Cinematic Universe plays out (and what about the potential for a Spider-Man/Deadpool Team-Up? 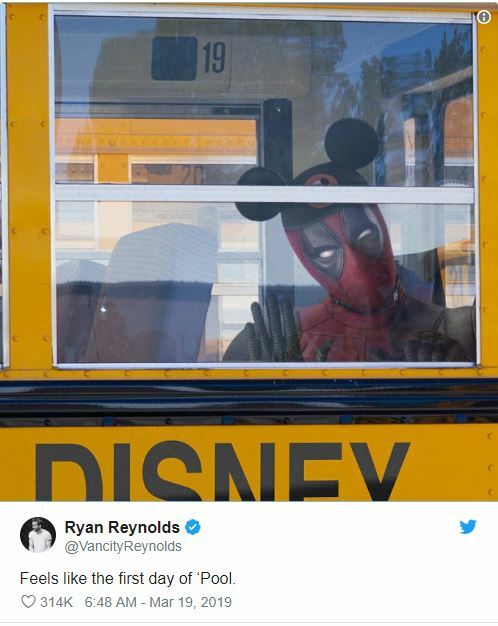 Remember, the Spidey/Deadpool comic book series has been one of Marvel’s most popular comic book series over the past couple of years), the future looks VERY bright for Marvel fans. 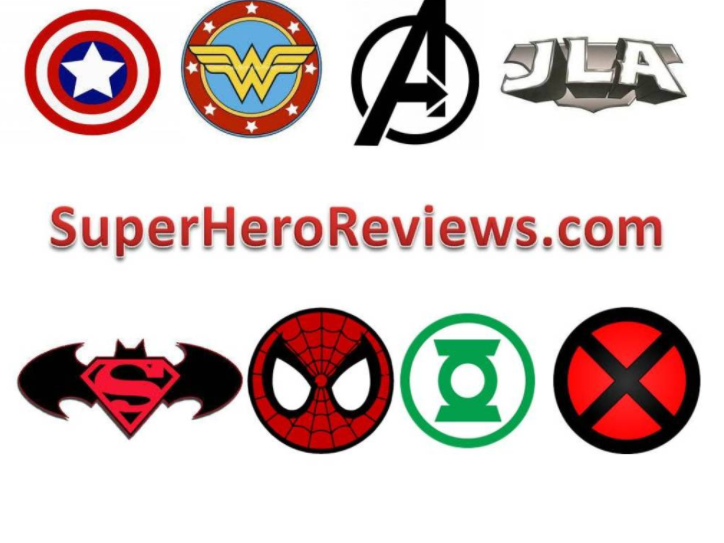 Author Comics History and Superhero Reviews/Posted on March 23, 2019 /Categories Comic Book News/Tags Avengers, Chris Hemsworth, Fantastic Four, Marvel, Ryan Reynolds, Thor, X-MenLeave a comment on Comic Book and Superhero News March 23, 2019: Disney Gets The X-Men, Deadpool, and the Fantastic Four! 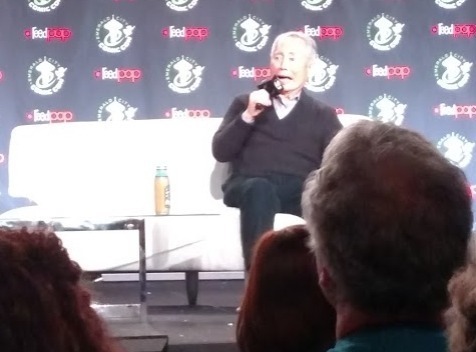 Today at Emerald City Comic-Con, Star Trek star George Takei took the stage at the Seattle Hyatt Regency hotel to rapturous applause by nearly 2,000 fans. His first words were his iconic signature line of “Oh MYYYYY…” which just upped the geeky happiness of his fans as they applauded even more. The 81 year-old film and TV star spent the next hour regaling the crowd with tales of his new projects and his life as Star Trek character. He also took a very serious turn as he recounted his four childhood years in an internment camp in “exotic” Arkansas during World War Two. George Takei greeting the crowd at Emerald City Comic Con, March 15, 2019. Takei explained that he had just come from Vancouver, B.C., where he was filming the AMC show Terror: Infamy, which is a horror show set in a Japanese-Internment camp during World War Two. Takei commented on the intense cold in Canada this past winter, making reference to his status as a Californian unused to the frigid cold of the north. Takei also mentioned another upcoming project, a graphic novel memoir of his childhood in the internment camps, titled They Called Us Enemy. During the audience question and answer session, one fan asked about the swordplay in the Star Trek episode The Naked Time, and Takei related the story of how he told Star Trek writer John Black that he knew fencing, and then spent the next two weeks actually learning how to fence (from the fencing master of the old Errol Flynn Robin Hood film. George Takei also confirmed that his favorite Star Trek movie is Star Trek: The Undiscovered Country, in which, his character, Sulu, has received a promotion to captain, and ends up saving the day (and saving Captain Kirk also). 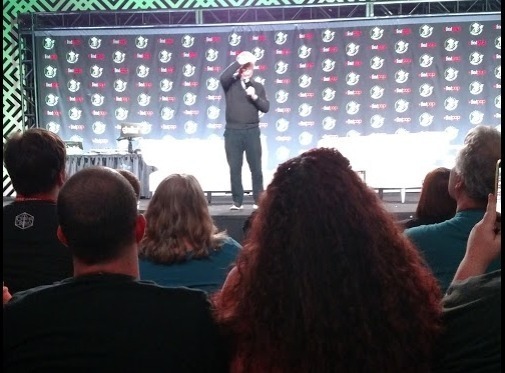 The capacity crowd (the room was declared full via the ECCC phone app about fifteen minutes before Takei took the stage), applauded loudly and laughed at his jokes, but also sat in reverent attention as Takei told his tales of discrimination and internment. Overall, the crowd of Sulu, George Takei, and Star Trek fans got what they waited for and enjoyed every moment of their idol’s appearance on the stage in Seattle. He is a very well-loved part of their lives. As an aside, George Takei, ever the gentleman, thanked his fans multiple times for their devotion to Star Trek and for his storied career. As he left the stage after thanking the crowd once again, he invoked the Vulcan “Live Long and Prosper” hand gesture and exited stage right. Thank you Mr. Takei, for an uplifting and educational hour with you! Seattle’s biggest geek-fest is the annual Emerald City Comic-Con spectacular, held at the Washington State Convention Center in the heart of downtown Seattle. This pop-culture fest is heavily attended each year, and each year it grows bigger yet. 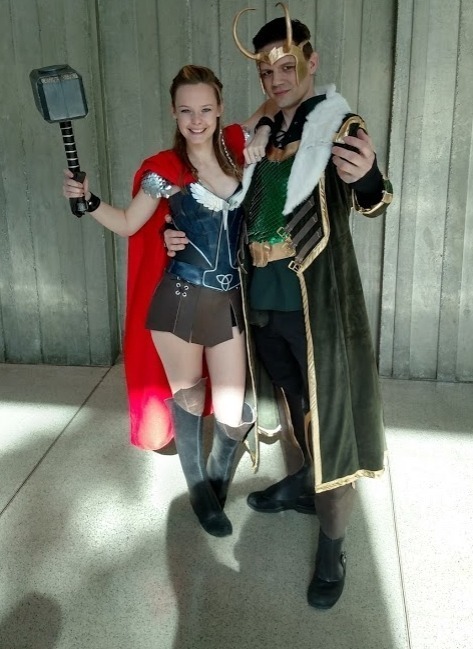 We will be reporting on the ECCC this weekend, and in this post, we present to you our impression of the show, as well as photos of the cool cosplayers we encounter. One of the concerns held by convention-goers was the new security measures put in place at Emerald City Comic-Con for this year’s event. Somewhat vague instructions from the organizers got a lot of fans all a-twitter, as it were, but the reality was pretty smooth. This reviewer took a backpack into the show, entering about an hour after the doors opened. Upon entering the back entrance to the building, along with several dozen others, we saw a series of seven or eight metal detectors, in a setup similar to what one finds at a modern airport. The line moved very quickly, and the fact that I had a bag with me proved to not be a problem at all. Once inside, the rest of the walk to the main show floors went pretty smoothly. Inside were found the usual acres of vendors of all sorts of geeky products, many of which were extremely cool, but many were also very expensive, such as the amazingly beautiful original signed art by Alex Ross and Bruce Timm. One of the joys of attending a comic convention is the feeling that the nerdy, geeky person whose fandom is met with some amusement by non-geek friends and colleagues, can, at a Con, feel that they are among their own people, washed in the glory of being a geek surrounded by his or her fellow fans. 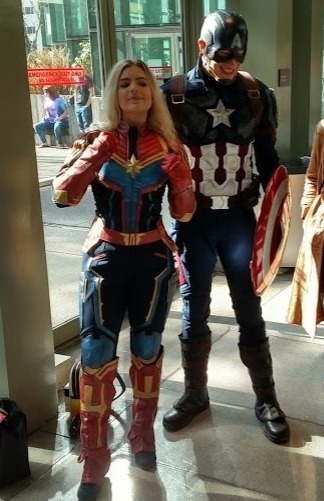 It can be a good feeling to see cosplayers unabashedly showing their fandom, along with literally thousands of others who walk around with pride wearing superhero themed t-shirts, shoes, and other knick-knacks. One of the big celebrity guests this year is Star Trek’s own Captain Sulu, George Takei. An interesting change from prior years was that the venue for celebrity panels, autographs, and photo ops are now three blocks away from the main Con. Fans need to walk three blocks westward to get to the Hyatt Regency to see someone as big a George Takei. This weekend’s weather is pretty nice, but March in Seattle can just as easily be cold and very wet. Organizers should re-think this venue change, even though it must be said that the Hyatt’s large hall where Mr. Takei spoke is really nice! We will post more from ECCC 2019 as the weekend progresses. Excelsior! This is our new site where we combine our love of comic book history and our love of current comics books, superhero comic book movies, and other media and related genres (including Science Fiction) for us to write about, and for your to (hopefully) enjoy and gain enjoyment and knowledge.